Hvar has a long history, going back to Greek times. 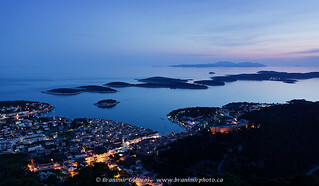 It is located in a picturesque natural bay, right across a set of small islands called Pakleni Otoci. Hvar is the site of one of the longest opearing theatres in Europe, opened in 1612. Hvar and Korcula are my favourite towns on the coast.